Answer: As a player, coach, or parent you can expect unprecedented communication, allowing us to work together to achieve your goals. What should I try to capture on film? Answer: Ball machine practice is fine. However, realistic rallies with a variety of incoming balls will allow me to analyze your game more thoroughly to give you the best advice possible. A practice wall is also great for shooting your video. What equipment should I use to film? Answer: A smart-phone is fine. A GoPro is perfect for putting on the fence to capture point play, but not required. What is the best angle to shoot from? Answer: For matchplay analysis filming from behind is ideal to see the big picture, but often difficult to fit everything in the frame from your phone. You can buy wide angle lenses or try shooting from behind at a 45-degree angle. Shooting from a 45-degree angle (diagonally) in front is great for technical analysis. But don’t worry, if you shoot it, I’ll see it! Can I use a ball machine or practice wall? Answer: A wall will provide me with far more information to allow me to help you. A ball machine feeding the same ball will not allow me analyze your game as effectively. A practice wall is s great way to film your strokes! How long does it take to receive a video/information? Answer: I will respond to your video and email within 24 hours. I will review your video within 48 hours. We can then arrange a time that works for both parties to analyze your video together. Within 24 hours you will have the recording of our discussion. Will these videos be private? Answer: Yes, all discussions and videos will be private and I would appreciate that my responses also stay private and are not uploaded publicly. WOULD YOU LIKE YOUR GAME ANALYZED? It’s rare that you come across a standout coach like Tom. He stands out above the rest with his tennis acumen coupled with his exceptional communication skills. I had the pleasure of working with Tom for two months to improve my forehand and serve It was through this experience that I got to see Tom in his area of expertise - identifying the key technical flaws and formulating innovative yet the most practical solution to improve your strokes. Beyond his ability to provide you with exceptional coaching, Tom was always available to chat and was extremely friendly and generous with his time. Tom has earned my highest respect during our time working together and I'm absolutely certain that he will earn yours as well. I coach a boys tennis team in Charlotte, NC and we have been using TPA Tennis video analysis services to help in the development of our high performance kids. Tom has been a tremendous value in providing detailed analysis of our matches. We find his analysis to be very professional and insightful and a good complement to our on-court live instruction and coaching. Tom has a great understanding of the learning process and how to efficiently and effectively help players. I've been hitting for about 10 years just for fun and decided to make an honest attempt at getting better. I came across Tom's videos on YouTube and found the general videos he made really helpful but it wasn't until I contacted him and took his online coaching where he would help me specifically and mate.... he knows his sh*t! In 6 weeks I'm easily a better player with much more tools and really looking forward to working with Tom over the next 6 months to a year to see what we can cook up together. Sometimes as coaches we can get caught up in only addressing stroke production. Tom not only looks at the big picture, his teaching philosophy outlines how one thing influences another. It's like a jigsaw puzzle where all the pieces fit perfectly. It makes it easy for the coach, and easy for the student to understand how to become better. I would strongly suggest that anyone that wants to improve as a coach contact Tom Allsopp. 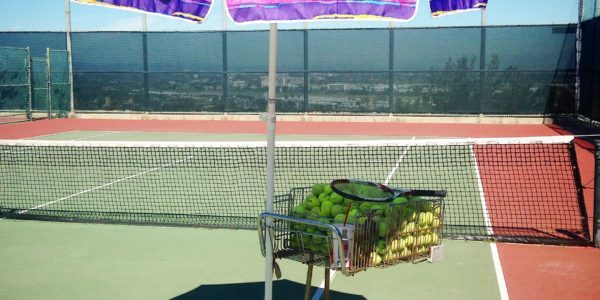 Tom is truly a professional tennis coach. 'Professional' implies dedication, efficiency, creativity, and a genuine relationship with their profession. Tom is not a replacement 'ball feeding machine with a voice'. He is an accomplished student of the game, continually investigating methods of how to help others learn, ever more quickly to become a genuine game playing tennis player. Tom cares about his players and the game. He is the real deal and the best value coach in town. ATP Tour Coach and author of "The Tennis Coach's Toolkit"
Tom and I started discussing tennis coaching methods about 3 years ago. He understands the skills that are required to play this game and how to effectively teach them. It's a refreshing change from basket feeding and generic technical jargon. I would really encourage any parent, player or coach to contact Tom to see how he can help you. You will definitely learn many things that are not easily available or often discussed. I will continue to reach out to Tom as I improve my coaching and the coaching of others around me. 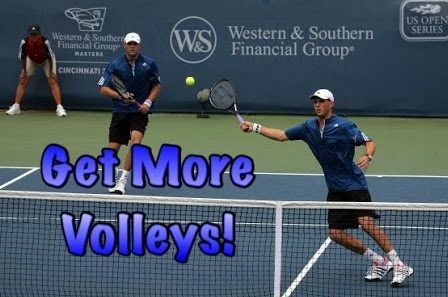 By developing skills such as anticipation, identifying shot patterns, reading body position, and baiting your opponent, you will be able to get more volleys and become more effective at the net.